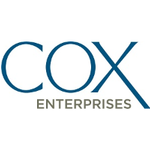 Recognized finance leader for the Cox Business Kansas-Arkansas market.Provides consultative services, presents financial analyses and influences operating decisions at the Senior Leadership level while maintaining the leaders’ focus on key business objectives. Operates with significant autonomy and serves as the financial business partner for the Vice President who leads the Kansas-Arkansas market.Work requires independence and a proven record for leading in a matrix environment. Performs financials analysis – Conducts complex financial and operational analyses and identify emerging trends.May include cost analysis, financial and expense performance comparisons, calculations of rate of return, and cash flows, and forecasting/budgeting.Additional ad-hoc analysis based on customer need. Performs data analysis – Gathers and compiles data used for identifying complex business trends/dynamics.Develops and presents recommendations.Develops construct to access and manipulate data from company data systems and sources. Performs modeling - Conceptualizes, prepares and presents advanced economic models, analyses and recommendations. Performs reporting - Develops and modifies financial reports and statements.Creates advanced visualizations of extracted data. Business partnerships - Provide financial and operational consultative services through collaborative partnerships by recommending and facilitating changes; analyzes and reviews data and resolves questions and/or problems.Assists in policy development to support change initiatives.Ability to influence with limited support from their leader.Oversee multiple clients, processes, projects, etc. Monitor and optimize business processes - Provides and reviews data to ensure both compliance and effectiveness of complex operational and financial processes, identifying anomalies and making recommendations.Understands cross-functional and across lines of business the upstream and downstream impacts of decisions from their department. Project Management – Leads cross functional team to define, assign, monitor and complete project objectives.Leads cross functional teams by example, demonstrating financial expertise to address non-routine and complex issues, optimize work flows and/or significantly contribute to improvements to internal organization and processes.Greater expectation of working independently. Leadership – Functions as key member of Cox Business market leadership team using influence and credibility to enact initiatives. Strong Communication – Ability to effectively communicate at all levels of the organization.Exhibits executive presence.